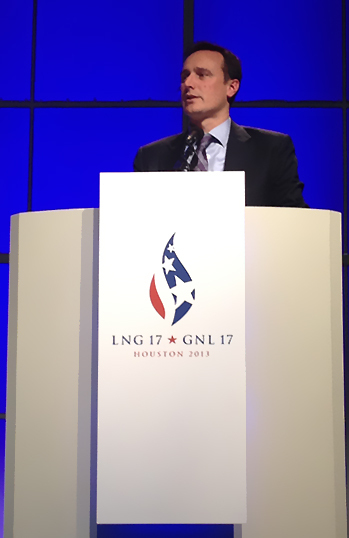 At LNG 17 last week in Houston, Texas, a number of delegates from Westport presented on the opportunities for liquefied natural gas (LNG) as a transportation fuel. Here’s an excerpt from “LNG as a Fuel for Demanding High Horsepower Engine Applications”, by Paul Blomerus and Patric Ouellette. What do we mean by demanding high horsepower applications? They include rail locomotives, tug boats, platform support vessels, inland waterway tow boats, mine trucks, hydraulic fracturing pumps and drill rigs. These applications all currently burn vast quantities of diesel fuel in large engines predominantly supplied by relatively few global OEMs. They’re also the most demanding customers in that the work they do is so economically critical that performance and reliability are paramount. Our analysis shows that over 30 billion U.S. gallons of diesel are burnt by these customers annually in the four market segments, namely marine, rail, mining and oil and gas. This is only diesel fuel so it doesn’t include large ocean-going ships. To put that in context, that is roughly 4 billion mmBTU of natural gas or 80 million tons per annum of LNG capacity. What’s more, the market is surprisingly concentrated: approximately one-third of the demand is in the US and Canada with about 100,000 engine units burning the majority of the fuel. Additionally, most of these are owned by large customers such as BNSF, Union Pacific, Rio Tinto, BHP Billiton or Schlumberger and a handful of other major customers who all have the capacity to implement change. Apart from the economics, LNG also makes overwhelming sense in high horsepower engine applications compared to CNG because its energy density means it is the best option to provide vehicle range. As a liquid, LNG can be economically pumped at high flow rates to expedite refueling and can be efficiently raised to the pressures required for injection into modern efficient compression ignition engines in the High Pressure Direct Injection (HPDI) process. So given these advantages, you’d expect the transition from diesel to LNG to be very rapid. It has begun, but there are major barriers to overcome. There are three highly relevant case studies of industries in fuel transition that can help us understand what might be happening. First, ironically perhaps, the transition of trucking from gasoline to diesel fuel in the US. In the 1950s and 60s, the trucking industry underwent a complete upheaval with the introduction of reliable and efficient diesel engines that provided the hauling capacity demanded by customers. Even though diesel engines were initially heavier and more expensive, their technical and economic superiority won out and by the 1980s had captured a 100 per cent share of the market – until now. Take a step back even further in time. 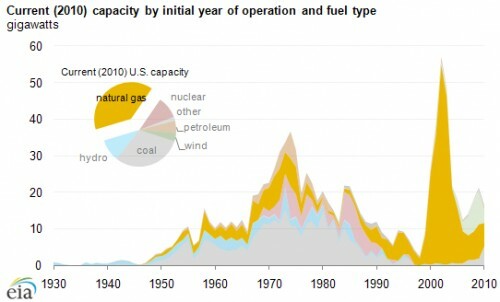 An even more dramatic fuel shift occurred in the years following WWII. Manufacturers such as GM's Electromotive Division - now part of the Caterpillar group - began producing reliable diesel electric locomotives with the ability to haul mainline passenger and freight trains in the 1940s. And with efficiencies nearly five times better than the paltry six or seven per cent thermal efficiency that steam locomotives could manage, the business case was overwhelming. 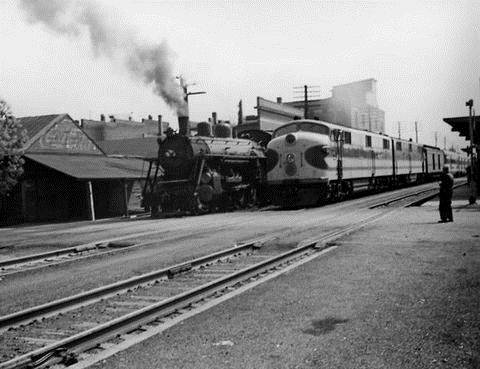 Within 20 years, almost all the steam locomotives had gone, replaced by diesel locomotives and the associated refueling infrastructure in a post war economy. So next time somebody tells you that infrastructure investment is going to hold back the progress of LNG for transport, tell them to guess again. Enough about diesel’s dominance I hear you say – we’re here to talk about natural gas. Here’s a final case example which this time does involve natural gas. Three examples of transformative natural gas technologies show what’s possible in the LNG for transport area. We start at the garbage dump – or trash heap, waste depot, recycling centre – depending on where you’re from. In North America, the Cummins Westport ISL G spark ignited natural gas engine uses stoichiometric combustion with cooled exhaust gas re-circulation in combination with a simple three-way catalyst to achieve extremely clean exhaust emissions, even in the very challenging start/stop duty cycle of urban refuse trucks. Since this product’s release in 2007, the market share growth has been dramatic. Thanks to major customers like Waste Management and Republic Services, Westport expects Cummins Westport ISL G-powered refuse trucks to have an 80 per cent market share by next year. These trucks all run on compressor refueled compressed natural gas (CNG) from pipeline gas. What about an LNG example in a heavy duty application? The Westport™ HPDI system provides diesel-equivalent performance, range and efficiency for the largest truck engines, which has enabled one of the most-demanding sectors of the transport economy to begin to transition to LNG. This was something people had said couldn’t be done with gas engines but there are already over 800 trucks on the road and the fleet is growing fast. The last technology solution is one that is set to revolutionize LNG as a fuel for regional and vocational trucks. The Westport™ Advanced Tank System uses an LNG pump to provide low pressure gas for spark ignited engines such as the Cummins Westport ISX12 G. The pumped system responds to every demand for fuel from the engine with no fuel starvation issues. Perhaps more importantly, it starts with cold saturated fuel and keeps it cool. The result is a single LNG tank with 450 miles range. So how might this formula be applied to the high horsepower space? One element is already falling into place with the solutions that Westport and Caterpillar have started developing for mine trucks and locomotives. Some of the technologies Westport is developing include: HPDI injection systems on high horsepower engines, high flow LNG pumps, large LNG tanks for mine trucks, and complete LNG tender cars for rail applications. The technology solutions are not all in place yet, and there’s still more development work to be done, but with OEM partners such as Caterpillar tackling the problem, we are confident the equation will be tipped toward rapid transformation. And when it does go past the tipping point, what will result? An outcome that is within our grasp. Westport's Paul Blomerus presents on LNG as a transportation fuel at LNG 17 in Houston - April, 2013.